Thinking of having wine or champagne on your wedding reception tables? 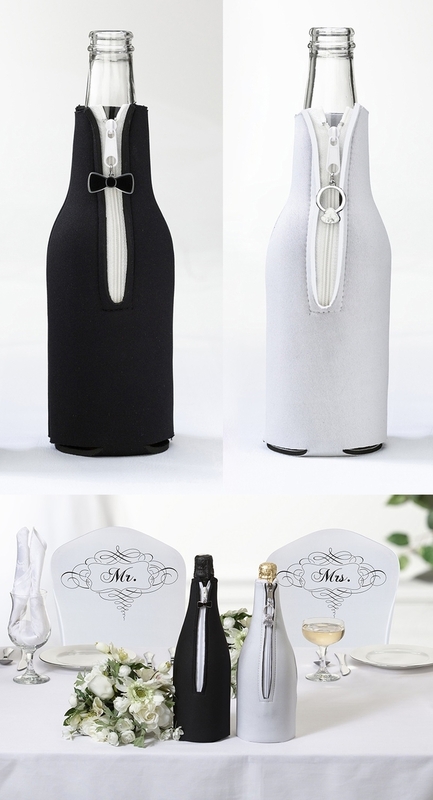 We have some great wine bags to allow your wine bottles to become part of the decor on your reception tables. This lace wine bottle cover is perfectly suited to a vintage or shabby chic wedding theme. 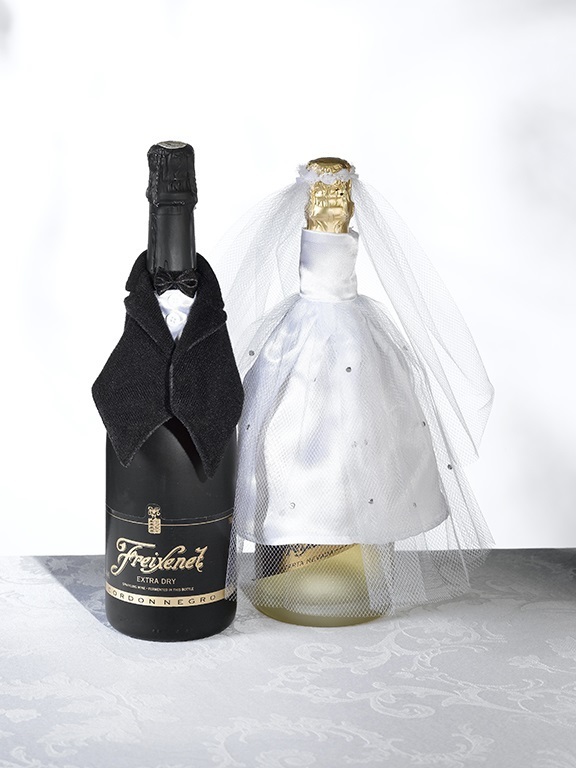 Perfect for the bridal table are these lovely bride and groom wine bottle decorations and champagne bottle covers. Not only decorative, but functional as well are these hessian wine bags which also serve as a handy table number display. These wine bags give a rustic country and vintage charm to your wedding or event.